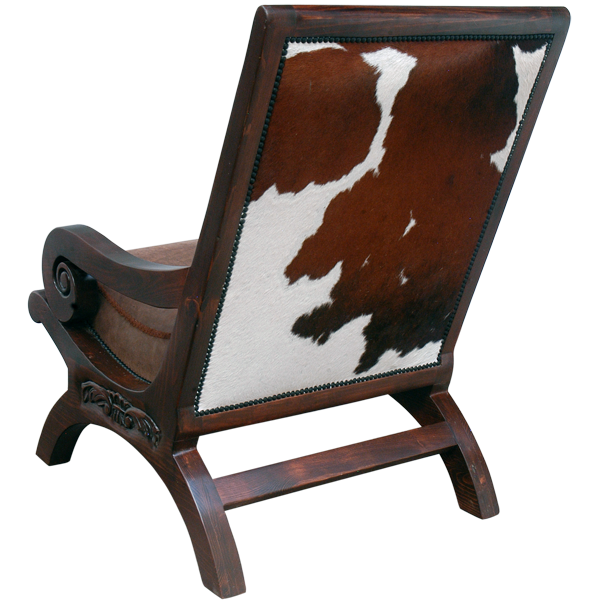 Beautifully finished and upholstered in rich, full grain leather, this Western style handcrafted chair will compliment the existing décor of your living room or office. 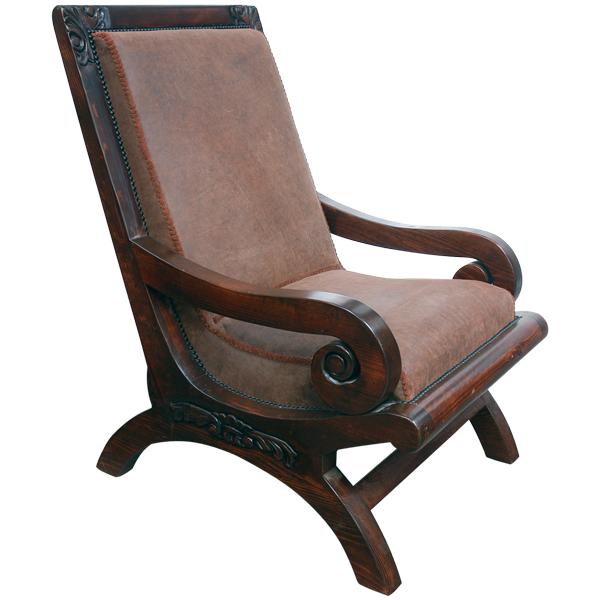 The chair is also very comfortable due to its sling design and extended, arched back. The lovely, curved armrest end in hand carved scrolled designs. The chair is supported by curved, slightly splayed, solid wood legs, and joined by a cross bar in the front and in the back. 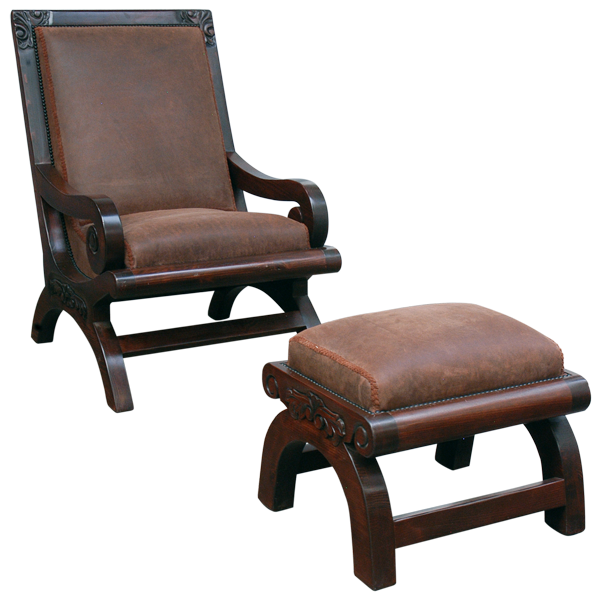 The intersection of the base of the chair and the legs is hand carved with ornate floral designs. 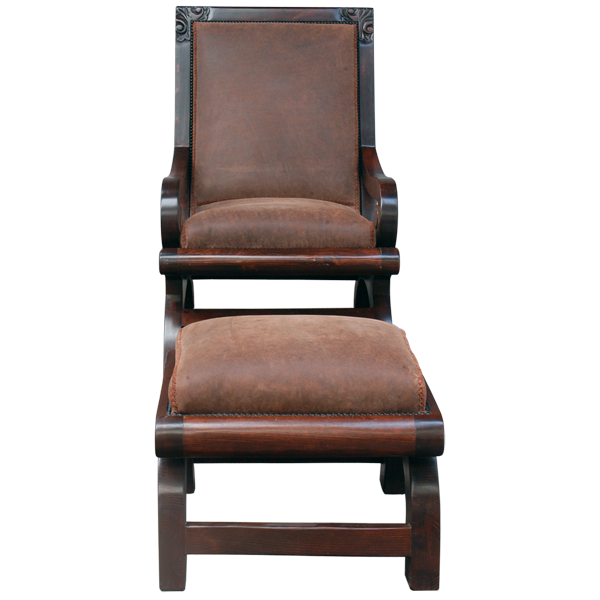 The seat and inside seat back are upholstered in rich, brown full grain leather, and the reverse set back is upholstered in patterned, real cowhide. The upholstery is precision hand tacked to the entire frame of the chair by our skilled craftsmen. Both comfortable and durable, the chair is made with the best wood available. The chair in the photograph is accompanied with a matching ottoman. The chair is 100% customizable.